What Are Columbus Dental Implants? In many cases, dental implants are the preferred option for replacing missing teeth. 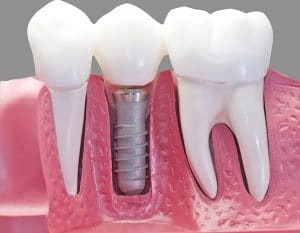 Dental implants are titanium fixtures that are used to living bone. They are used to support a bridge or crown. One of the reasons that Columbus Ohio dental implants are preferred over other restoration is because they look and feel natural. Most people will be able to get dental implants. However, in order to be considered a good candidate, you must be in good oral and general health. If you have gum disease, then you will need to get that condition treated before you get dental implants. Dental implants do not require special maintenance. You maintain dental implants the same way that you would maintain your natural teeth. Regular brushing, flossing, and trips to the dentist will help you maintain your dental implants. If dental implants are cared for properly, then they can last up to 30 years. There are several ways that you can benefit from dental implants. Your self-esteem will improve because you will be able to smile with confidence. Your overall quality of life will also improve because you will be able to chew and speak a lot easier. Furthermore, dental implants can help you look younger. Missing teeth can cause your jaw to shrink and your face to sag. This can cause you to look a lot older. Crowns Vs. Bridges: Choosing the Option That is Right for YouWhat is a Cavity?